More Google Wave Invites Going Out Today! 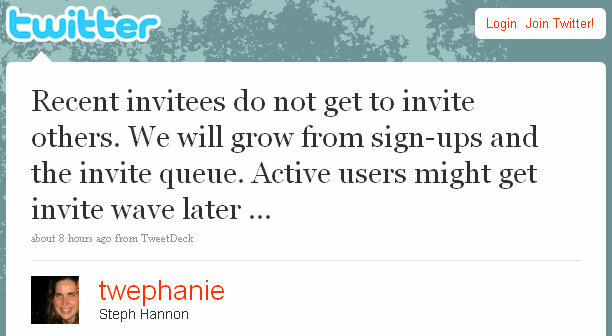 Steph Hannon (@twephanie) a Google Wave Engineer who sends out helpfully, informative Google Wave info, just tweeted about how Google is sending out more Wave invites today! If you’re not following Steph Hannon @twephanie then I recommend you do. The Google Wave updates are great, especially when you know they’re coming right from the source of Google Wave!